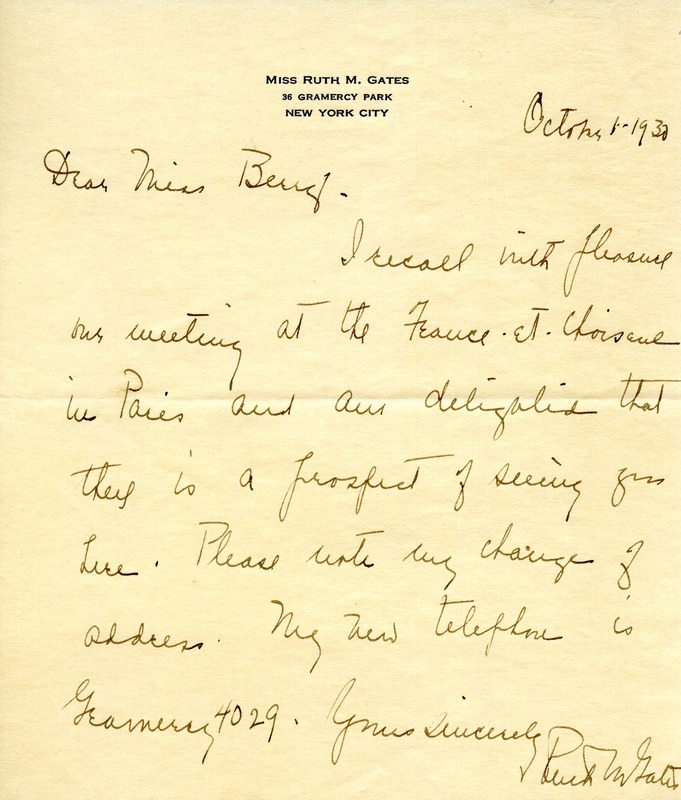 Ruth writes to Martha recalling with pleasure meeting Martha in Paris and delighted at seeing her here. Miss Ruth M Gates, “Letter to Martha Berry from Ruth Gates.” Martha Berry Digital Archive. Eds. Schlitz, Stephanie A., Aaron Jackson, et al. Mount Berry: Berry College, 2013. accessed April 23, 2019, https://mbda.berry.edu/items/show/12609.